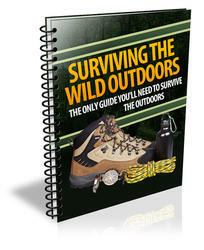 Snow climbers choose from a catalog of techniques that provide belay protection to their rope-mates. They sometimes give belays using established snow anchors, and sometimes they give quicker and less formal belays using the ice axe. The changeable nature of snow and the difficulty of inspecting snow protection usually result in anchors that can't be considered bombproof like a good anchor in rock. But they are still effective because most mishaps on snow do not generate the high loads of rock-climbing falls. Snow falls are usually slides on relatively moderate (30- to 60-de-gree) slopes, with help from the friction of rope against snow and with no direct vertical pull. Fig. 12-35. 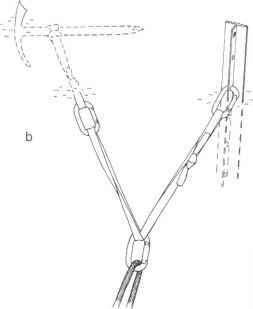 Two methods of connecting snow anchors: a, two pickets linked serially, top anchor supports lower anchor; h, two independent anchors with equalized connecting runner. able snow belay yanks you and any anchor off your perch. Set up a belay close to the climbing difficulties. If you're belaying the lead climber, get out of the line of fire by setting up the belay stance to one side of the fall line—not within it. If the leader is heading up on a diagonal, get outside any point where the climber's route could cross directly above you. 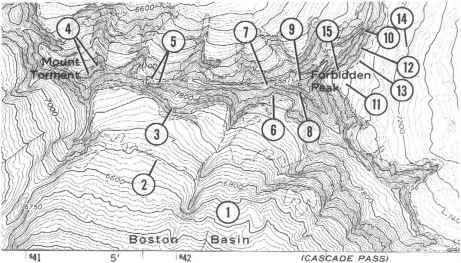 On a ridge crest, it is not always possible to predict a fall line and plan a belay in advance. If a ropemate slips off one side of the ridge, the best reaction may actually be to jump off the opposite side, with the rope running over the ridge saving you both. What snow belay for leader? 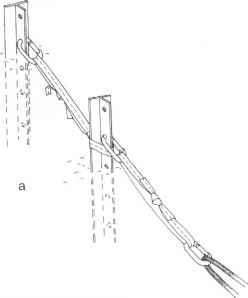 How to anchor and belay on snow?